Suffering from alcoholism is an issue that you have found yourself contending with, or maybe you are concerned about a relative or a friend. While knowing the exact approach to take generally comes with the guidance of a professional, you can start to look toward holistic methods for working through this issue. People often take out issues in their mind onto their bodies, and that might be exactly what you’re doing now. In order to achieve a healthier body, you may need to work on the issues in your mind that are causing you to treat yourself negatively. Centering yourself and really getting in touch with who you are often becomes an integral part of this process. You may want to start to mediate, keep a diary of your struggles or sign up for yoga classes. You may also find that religious or spiritual practices help you to get in touch with your inner struggles. Often, the best way to obtain the necessary help is to work with people who are professionally trained in the field. By doing so, you receive the necessary guidance to help you with your specific struggle. Professionals, like those at Pacific Ridge, know how difficult it is to struggle with alcoholism. While you are searching for rehabs, you can specifically look into ones that offer a holistic approach. When you begin to value your body as a whole with the help of the team members, you can start to see how drinking alcohol detracts you from your ultimate goals. When you think of the problems that you have faced because of your alcoholism, you may consider strained relationships with friends, failures at work and school or so forth. However, you also must take into account the physical damage that you have likely done to your body and the fact that you have possibly put yourself in dangerous situations. Make a commitment to healthy eating to show that you care about your body; soon, you will see that in order to successfully accomplish that goal, you will need to tackle your alcohol intake as well. From a holistic standpoint, you will likely struggle to accomplish goals if you are draining the energy out of your body with alcoholism. Think about something that you really want in life. Perhaps you want to return to college, or maybe you want to have enough money saved to send your children to an elite institution. Consider how alcoholism gets in the way of those goals. By setting small steps for yourself to accomplish the overall goal, you can begin to decrease your alcohol intake. When you take a holistic approach to solving a problem, you are placing your health and well-being at the center of the solution. 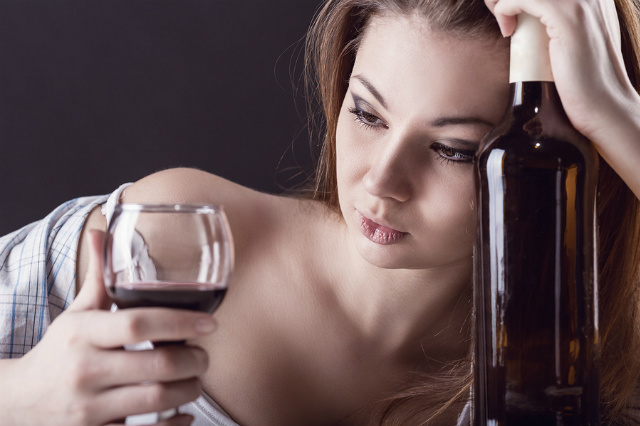 In order to achieve optimal health, you must rid yourself of alcoholism.